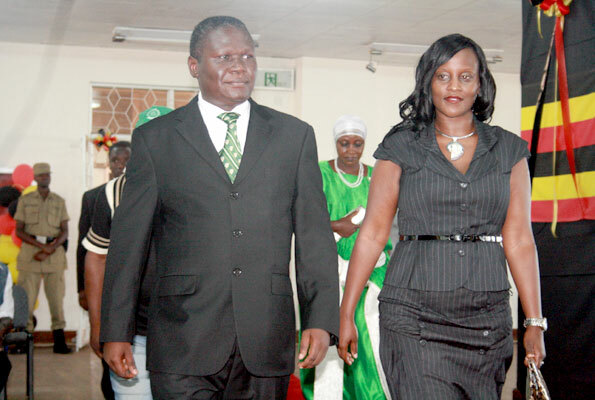 At exactly 3pm, Norbert Mao, the president general of the Democratic Party, entered the nominations room with his spouse Naome. He would become the fifth and last nominated candidate for the day. And riding on some semblances with American President Barrack Obama, Mao said he was Uganda’s next in waiting. “I am a lawyer, born in a mixed parentage and I talk about serious issues….” he said. Mr Mao said being of mixed parentage (Acholi-Ankole), he was the best candidate Uganda could have, especially at this time when the country needed healing. Mr Obama is also born of an American mother and a Kenyan father.“Today I feel a great sense of responsibility for my party, myself and my family. If God called me today and asked me what you did for Uganda, I can proudly answer that I offered myself for Presidency.”He took firm exception to Suubi pressure group many of whose members are offshoots of the DP. “The people in Suubi are just looking for a shortcut to leadership. They are riding on popular sentiments that they will deliver what Buganda wants. I don’t think they even have the capacity to deliver what they are promising,” Mao said, adding that DP had solutions to Buganda’s issues and the group was doing no good. He said his party and candidature hinged on four pillars; job creation in light of the biting unemployment, education, quality health for all and quality homesteads.s priority, he said, would be to restore Uganda’s image in the international community because currently all neighbours view Uganda as a war monger, always ready to attack them. He said he was also in for women emancipation by involving women in decision making instead of the current “tokenism”. 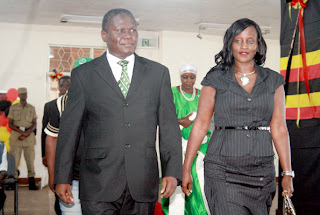 Mao’s nomination was proposed by his DP predecessor Ssebana Kizito and Ms Sara Kanyike seconded him. “I declare Nobert Mao of DP, who has complied with all the regulations,” Dr Kiggundu said, amidst ululations and shouts of joy from the 20 man team. However, Dr Kiggundu also said because of natural justice, Mao would be allowed some few hours to present another set of postcard photographs to the EC “because the ones submitted have one ear.”The team comprised of MPs, John Kawanga, Joseph Balikudembe, Mathias Nsubuga, and Jinja Mayor Kezaala among others. Mr Kezaala later after nominations handed Mao a green hoe draped in white and green, their party sign which symbolizes their party’s love for agriculture. Today, the EC will converge again at Namboole and PDP’s Abed Bwanika will be nominated at 11am while an independent candidate, who just pulled all the 75 districts Drake Ssebunya, will be nominated at 10:30am. It is highly expected that Uganda Peoples’ Congress Olara Otunnu may show up at 10am for nominations.